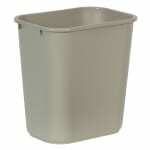 The Rubbermaid FG295600BEIG utility wastebasket is made of plastic that resists chips, dents, and rust. Since the material is beige, it blends into most themes. Its smooth surface facilitates cleaning, and its rolled rim adds extra strength and support. This unit can fit under a standard-height desk. 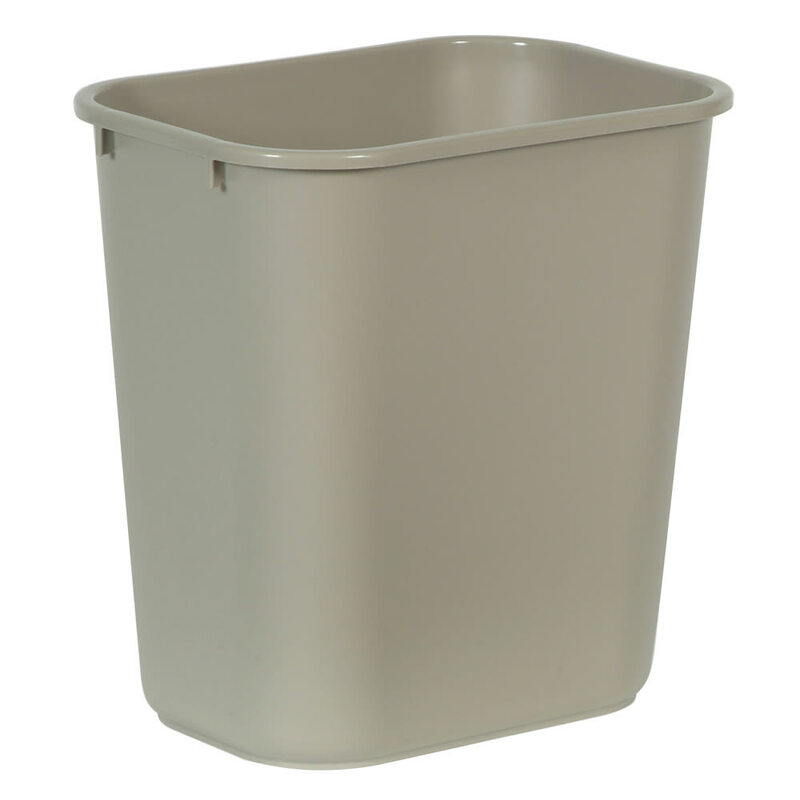 Check out our trash containers buyers’ article to learn more about the different kinds of trash containers.